This is the 1st post on this blog that is not about the California condor. It is, however, about another “condor”. Herbert Brandt’s Arizona and its Bird Life (published in 1951 by the Bird Research Foundation) is a detailed and illustration-rich account of the author’s travels and research beginning in the 1930s. By this time, California condors were gone from Arizona so there’s no mention of the species in Brandt’s book. … there were so many things of interest in this new type of night plane that had recently appeared in the realm of aerial transportation. Its interior anatomy was cleverly fashioned, so that it changed from drawing-room by day to dormitory at night…. At my elbow, in the cozy berth, was a small porthole, the curtain of which I raised at once. I did not care for sleep …. It was such a grand chance to burn alone, in sky solitude, my dim little candle of thought, to dream and muse, for it is seldom that one can thus unbridle his fancy. Flying in cloudland seems greatly to stimulate the imagination. It alarms all bird lovers to realize the hazards in the feathered world that have been created by the automobile. Is not our huge ship, when at the lower altitudes … a serious new menace to bird life? To provide context for Brandt’s concern about airplanes causing harm to birds, here are some details about the “huge ship” that carried Brandt and his fellow passengers. The first installation of this deluxe equipment was recently made on the Dallas-Fort Worth and Los Angeles Division of American Airways. Over the mountains and across the desert at 160 to 190 miles per hour. Luxurious births for night flight … spacious club chairs for day flight, are features that permit complete relaxation and eliminate the fatigue which usually accompanies extensive transcontinental travel. 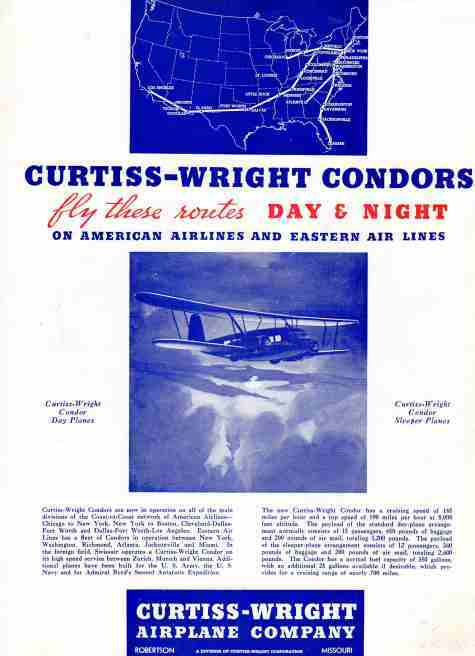 The new Curtiss-Wright Condor Sleeping Planes are powered by two Wright “Cyclones” which develop 1430 h.p. [horsepower] …. 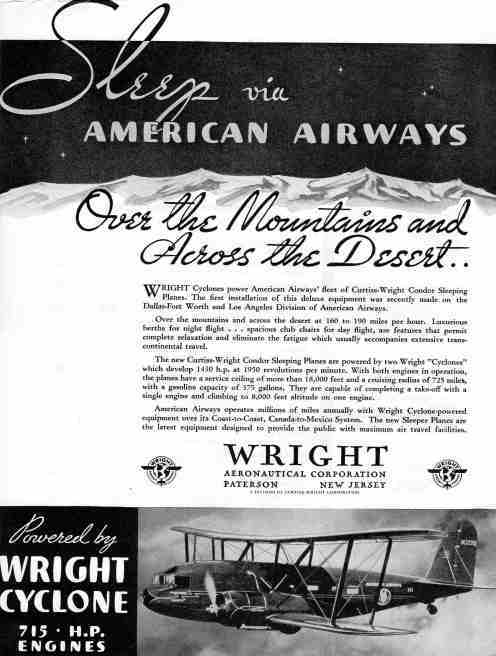 Curtiss-Wright Condors are now in operation on all of the main divisions of the Coast-to-Coast network of American Airlines …. In the foreign field, Swissair operates a Curtiss-Wright Condor on its high speed service between Zurich, Munich, and Vienna. The payload of the sleeper-plane arrangement consists of 12 passengers, 360 pounds of baggage and 200 pounds of air mail. The Condor has a normal fuel capacity of 350 gallons … which provides for a cruising range of nearly 700 miles. Given the size, speed, and number of aircraft flying today, Brandt’s concern that the aircraft of the 1930s were a threat to birds seems quaint. 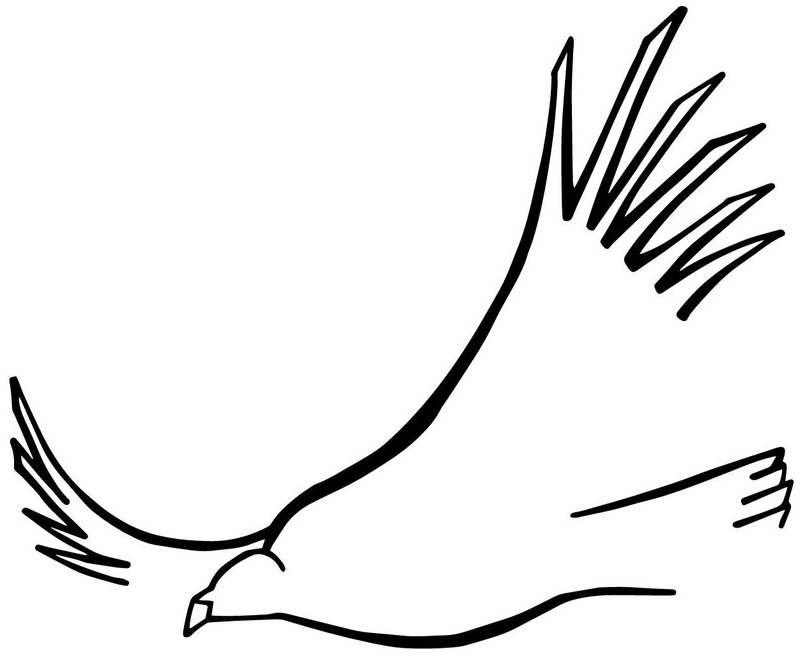 Birders and ornithologists have come to rely on air travel as they pursue their interests in birds. Being able to fly almost anywhere in the world to see and study birds has, for many, become routine. In this sense, Brandt’s description of his passage from Ohio to Arizona is a report of an early use of a new “tool” for those in search of birds, just as trains and automobiles were eagerly adopted by bird seekers in earlier decades. An early birding adventure with an automobile, that does involve the California condor, is described in a previous post: Driving to the birds.